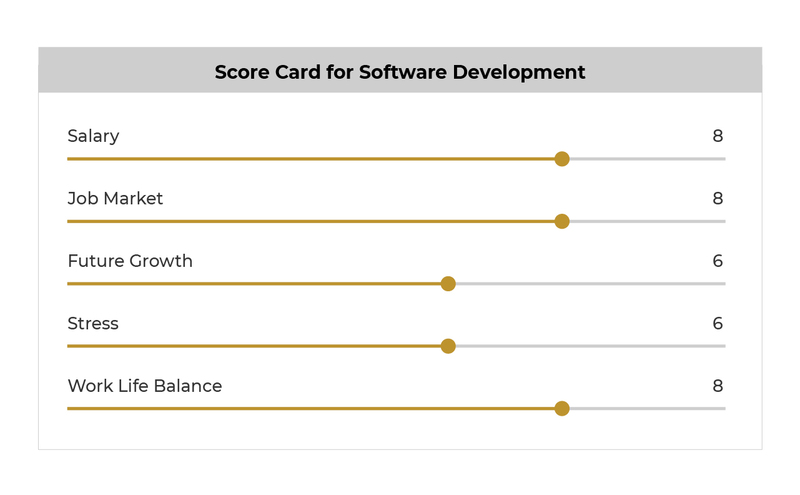 If you’re thinking about becoming a software developer, you’re probably keen to know how software development stacks up against other jobs. For example, should you stick with your job in marketing, which might have more stability, rather than becoming a software developer. We’ll look at key aspects of a career in software development to see how it compares with other popular jobs. The U.S. News & World Report ranks the 100 best jobs for 2019 across a number of variables. To do well, jobs have to “pay well, challenge us year after year, match our talents and skills, (be not) too stressful, offer room to advance throughout our careers and provide a satisfying work-life balance,” states the site. Guess which job came out at #1? Yes, you guessed right: software development. Besides the 100 best jobs, the Report also looked at various other rankings, such as the ‘Best Paying Jobs’, the ‘Best Stem Jobs’, the ‘Best Health Care Support Jobs’, etc. Software development came out as #1 for ‘Best Stem Jobs’ as well as ‘Best Technology Jobs’. Because software development scored slightly lower on stress, let’s see what software developers actually do and how stressful the job really is. 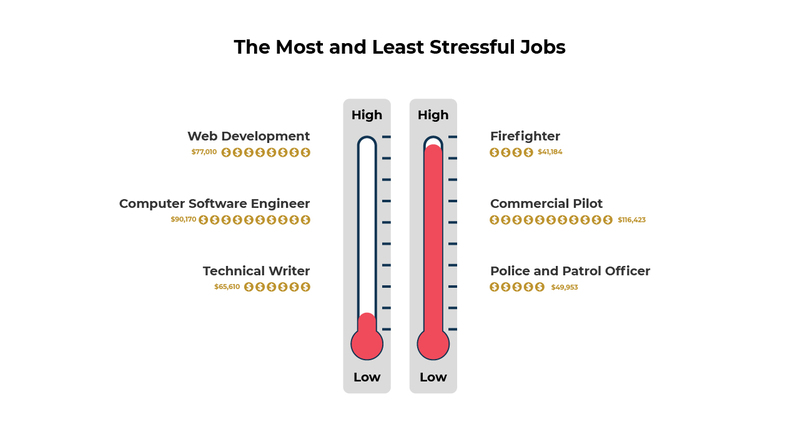 Drawing from a variety of sources, Business Insider has published a graphic showing the most and least stressful jobs. Firefighters top the list with exposure to very high stress levels. Luckily, both web developer and software engineers feature on the low-stress side of things. You might think that software developers sit at their desks all day, but this is not actually true. 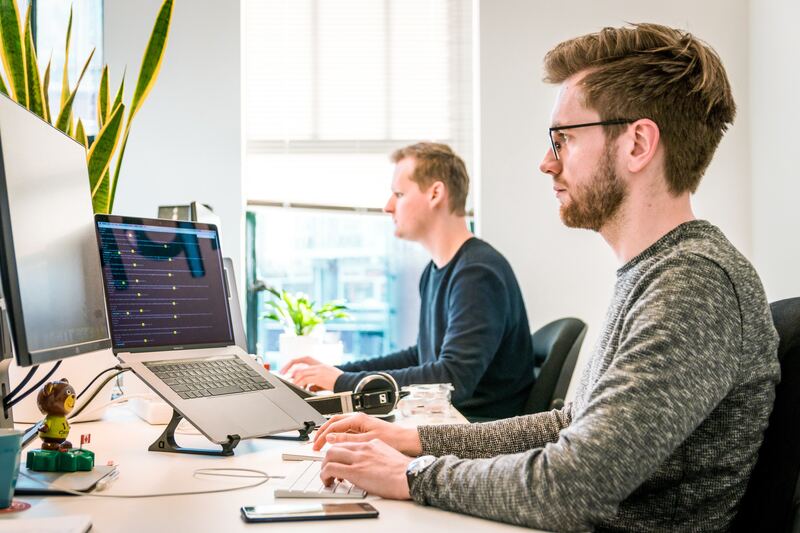 Their job involves many components, including writing new code for client projects, improving code for programs that are already running, checking for bugs, or collaborating with other developers, managers or clients. They are natural problem solvers with strong analytical skills. Automation is likely to hit certain industries hard, yet not software development, which only has a 13% change of being automated, according to the website Will Robots Take My Job. Compare this with bookkeepers and accountants who sit at a whopping 98%. 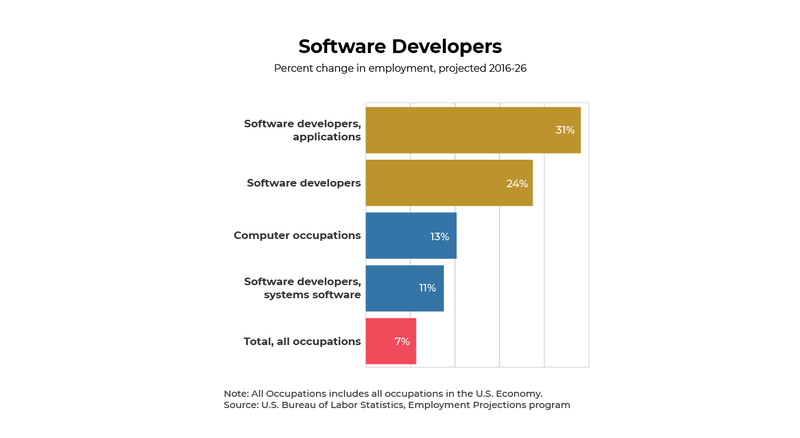 The Bureau of Labor Statistics projects a 30.7% employment growth for software developers between 2016 and 2026.This translates into an estimated 255,400 jobs opening up. 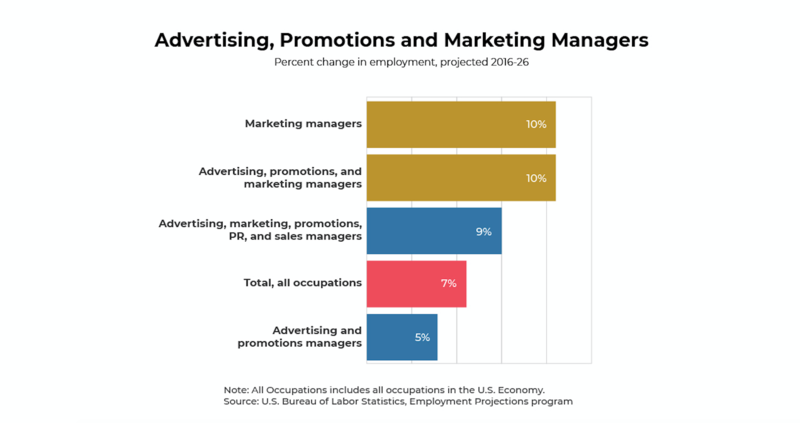 Compare this with advertising, promotion and marketing management, for example, which is predicted to grow at 10%. According to the U.S. News and World Report, the best-paid software developers make $128,960 per year with a median salary of $101,790. The median salary for the job that came in at #2 is $84,060. Any idea of the job? Bet you didn’t guess it was a statistician. You won’t discover you have a musical talent if you never try an instrument. Attempt to try something new every week. If you want to try out coding, think about enrolling on a free bootcamp trial via HyperionDev. What is easy for you to do? Ask others what you are good at – these are likely to be your talents. Think about what you loved doing as a child. Think of successes you have had, even if they are minor. For example, perhaps you organised a fantastic surprise party for your best friend – and it could be that you have a talent at event planning. Take a personality test to get a better sense of your natural proclivities. Two popular tests include the Myers-Briggs, which divides people into sixteen personality types based on research by the famous psychologist Carl Jung, and the Keirsey Temperament Sorter, which separates people into various temperaments. If you’re keen to become a software developer, you can choose to either study part-time and online via HyperionDev’s Software Engineering Bootcamp or you could choose an immersive, face-to-face program. These take place in Cape Town or Joburg.